FabLab Nairobi Outreach | WE ARE AWESOME! The FabLab Robotics Outreach Program (FROP) is a program run under FabLab Nairobi in Kenya that is run by engineering students since 2009. The program aims at introducing basic engineering to school students so as to provide a practical approach to the concepts taught in class. 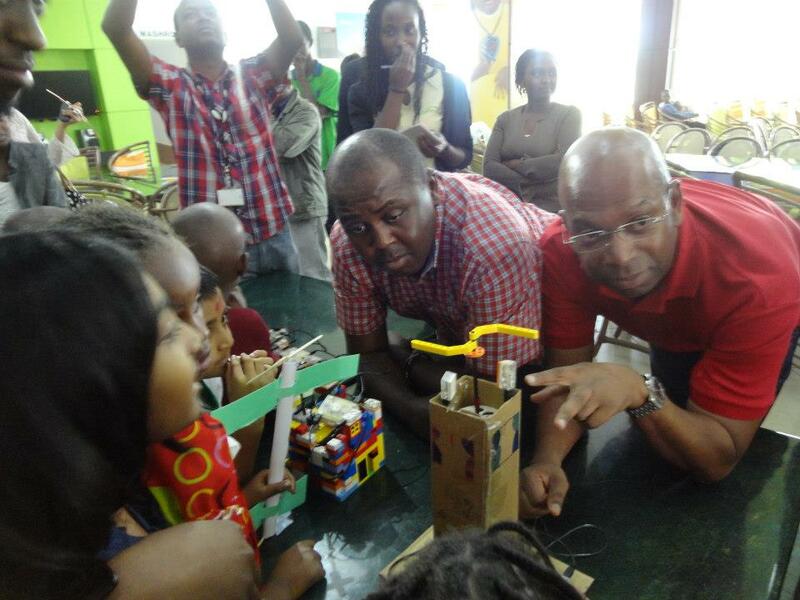 This is an interactive kids electronic hands-on learning program in Kenya that aims at making science fun and practical. 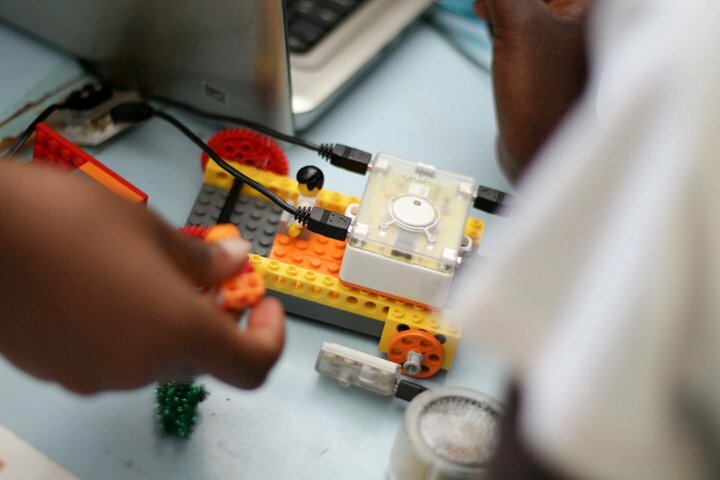 This way, the FabLab Robotics Outreach Program (FROP) improves the African child’s stand technologically. FROP has previously presenting its work at the Interaction Design and Children (IDC) 2013 in the Digital Fabrication and Making in Education workshop, FabLearn 2013 Digital Fabrication in Education Conference at Stanford University under the educator panel as well as at Flossie 2013 . FROP was part of a team that developed a game for and by children which was presented at the Advances in Computer Entertainment (ACE) 2013 conference. Roy Ombatti and Juliet Wanyiri, our team leads, are currently fellows at the Stanford FabLearn Fellows Program 2014 that brings together tech educators from around the world to collaboratively generating open source curriculum for makerspaces and FabLabs around the world. FROP serves as a means of tapping into the students’ potential in science and technology by encouraging their creativity, and subsequently their aspiring to undertake technical studies in higher learning institutions. A special focus is given towards encouraging female students to take up careers in science-related fields. Our aim is to make science enjoyable and practice, and by doing so help break down stereotypes to this field. FROP seeks to nurture innovation in Kenyan children from disadvantaged backgrounds to expose them to how systems work and teach them how to identify, design and implement solutions to problems around them. 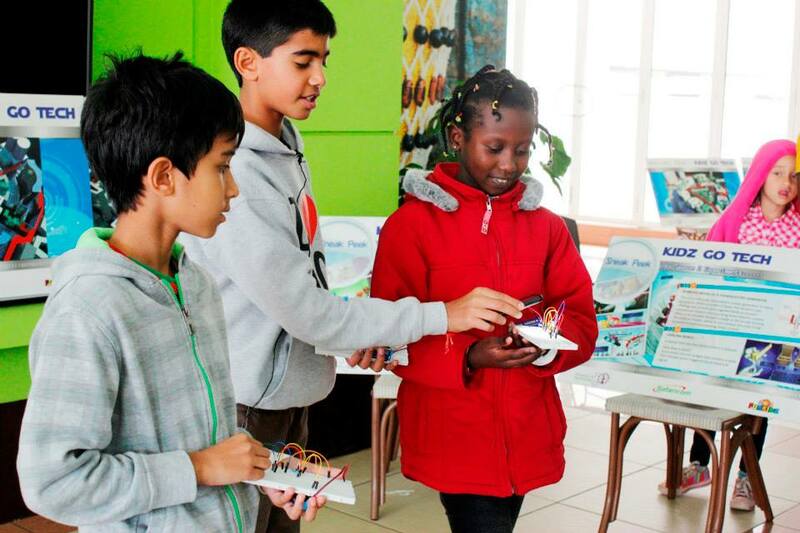 The main objectives of the program are to show the children just how fun science can be and inspire them to embrace Science, Technology, Engineering, Art and Mathematics (STEAM) as viable subjects and career options. FROP is a six to eight week program that consists of participatory technology-based workshop that brings together two groups of 25 girls, a total of 50 female participants. The participants will be aged between 8-16 years who live in underprivileged areas in Nairobi, Kenya. These include both the training and the implementation of projects that bring knowledge, empowerment and potential for social change within their communities. The workshops involve learning about robotics, electronics, 3D printing and simplified engineering. In addition, the will be extensive use of the FabLab machinery including the laser cutter, CNC milling machines and the electronic sewing machine as part of the weekly activities. The aim of this programme is to introduce robotics and concepts of engineering to students while they are still in high school, making education enjoyable and interesting. This will help inspire young people’s interest and participation in science and technology. At the same time, the programme will help students to understand and apply concepts taught in the classroom to real life situations as well as create room for one’s imagination. The programme hopes to motivate young people to pursue education and career opportunities in science, technology, engineering and mathematics, while at the same time building self-confidence, knowledge and life skills. The programme will also provide a forum for interaction between secondary students and undergraduate students who are already in the field of engineering. This will provide a vital link between high school education and university course work as well as mentorship for the students. FROP, which is currently in its fourth year, started as a mentorship program run by engineering students from the University of Nairobi, to high school students in the National Hidden Talent Academy- a children rehabilitation center in Dagoretti Slum area. In 2010, the 125/100 program was launched in partnership with The Girl Effect from Nike Foundation and Kuweni Serious. 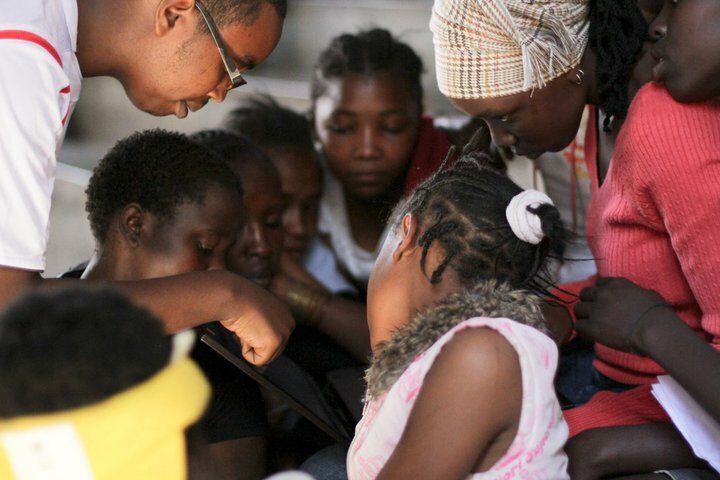 The aim of this program was to reach out to 125 girls in 100 days, teaching them basic tech skills through the use of Pico Crickets kit and the GoGo board from the MIT Media lab, as well as citizen journalism skills on smart phones. 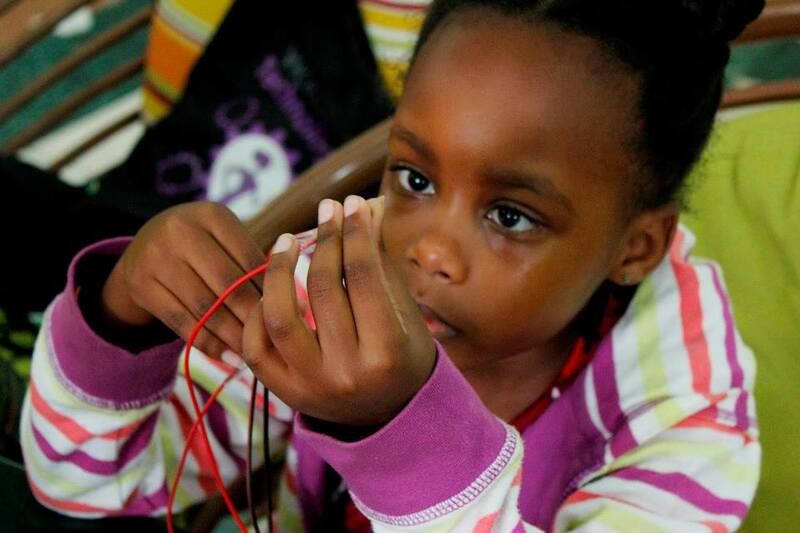 In 2012, FabLab Robotics Outreach partnered with Funkidz Tech Club and this year, the Safaricom Women in Technology programme came on board to be part of the program. Though initially set out for high school students, FROP has evolved to incorporate children as young as five years of age. FROP recognizes the need to tap into creativity, ingenuity and innovativeness at an early age when these traits are at their prime.